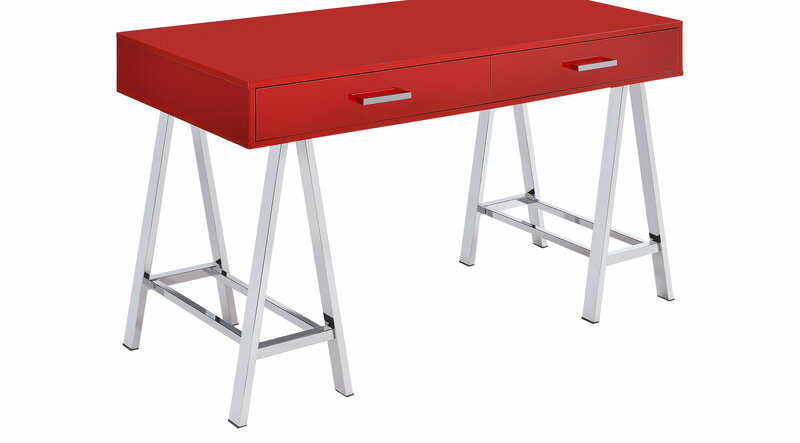 Bring a touch of modern into your home with the Coleen red desk. With its high gloss finished top and two drawers, it will serve as the perfect place to hold your supplies. The base is made up of two "sawhorse" designed legs finished in chrome to emphasize this modern task desk.